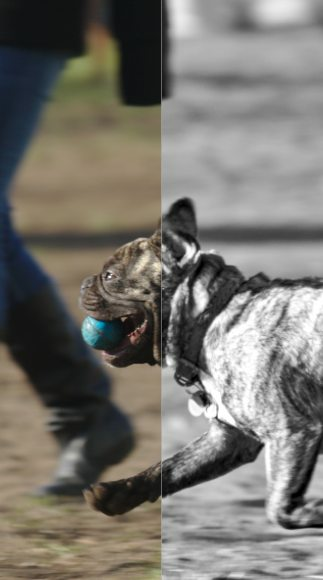 Frenchies, aka French Bull Dogs (because they became popular and famous in France), are often ‘crazy’. They run, they twirl, they wind themselves up and when they get tired they will often fall asleep wherever they are. 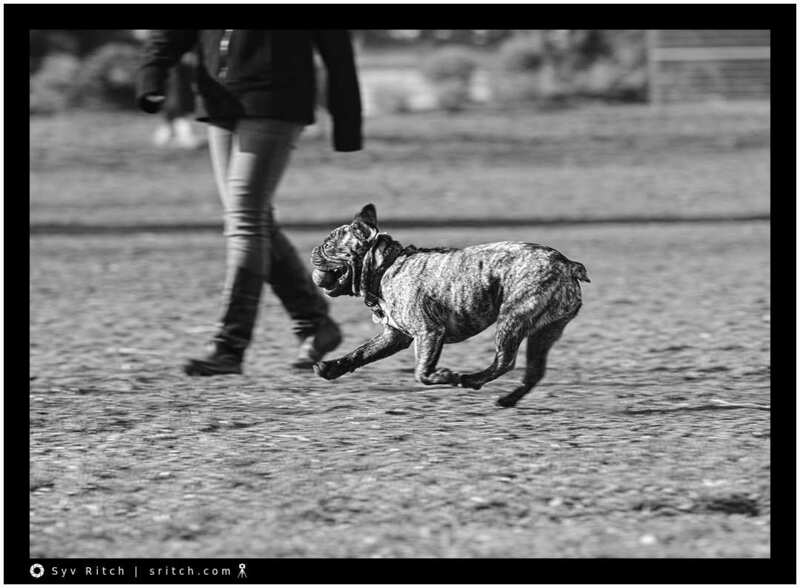 This Frenchie was running after his ball. When he got tired, he went ‘on strike’ and laid there on the grass. A few minutes later after “recharging his batteries”, he was at it again.